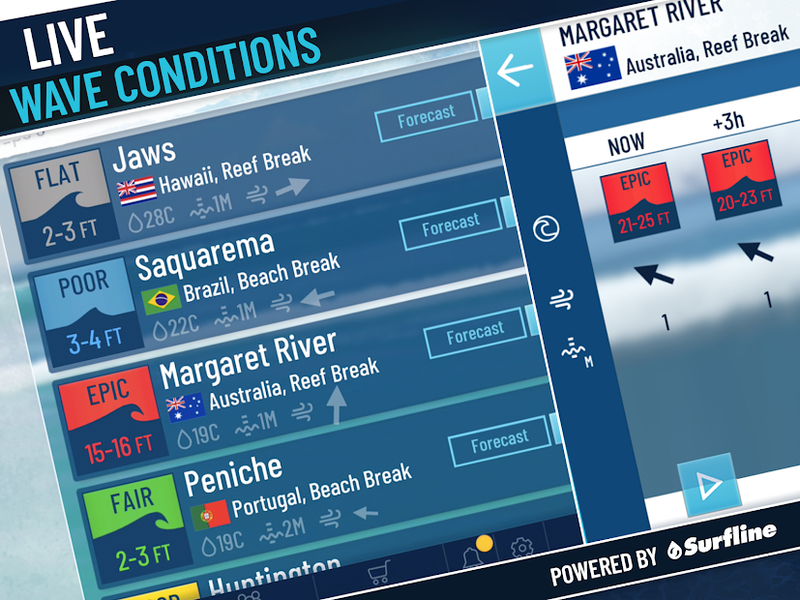 True Surf launches with 21 of the world's greatest surf breaks driven by True Axis' real world physics simulation engine and powered by live Surfline weather forecasts. 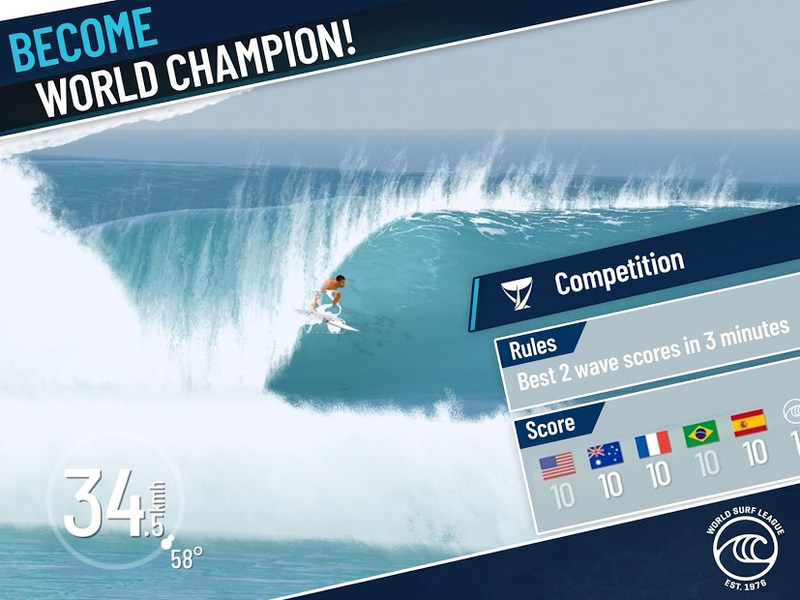 A huge part of surfing is about chasing the perfect wave and True Surf comes jam-packed with the world's best. 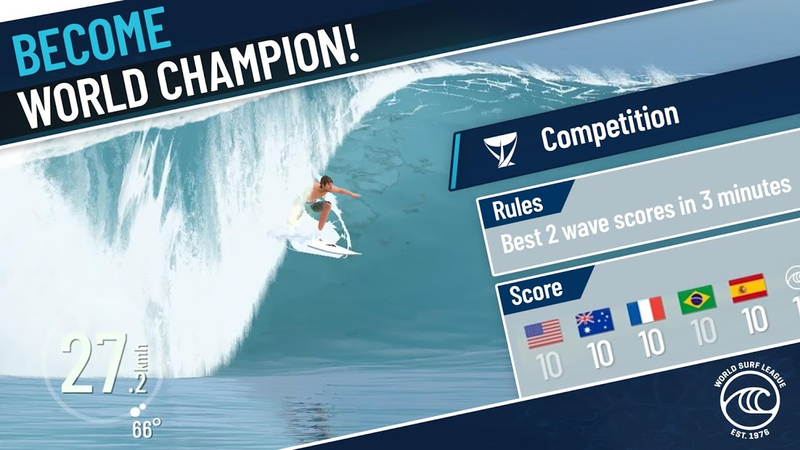 Level up to travel the world chasing classic reef breaks with hollow barrels at Pipe in Hawaii, Cloudbreak, Fiji to rolling 'power-curve' breaks at Bells Beach, Australia. 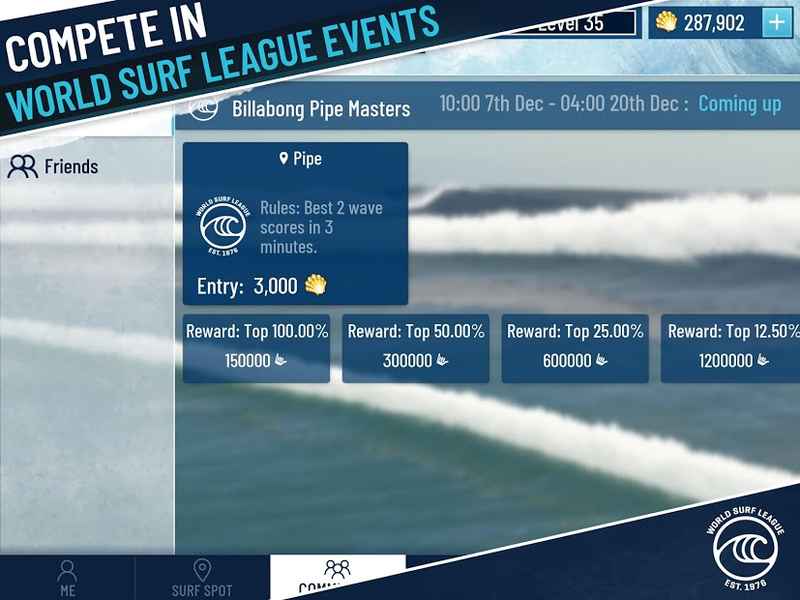 Or try to beat the sections at some of the world's fastest point breaks like Jeffreys Bay, South Africa. If BIG waves are your thing then head to Nazare, Portugal and Jaws (Pe-ahi), Hawaii. 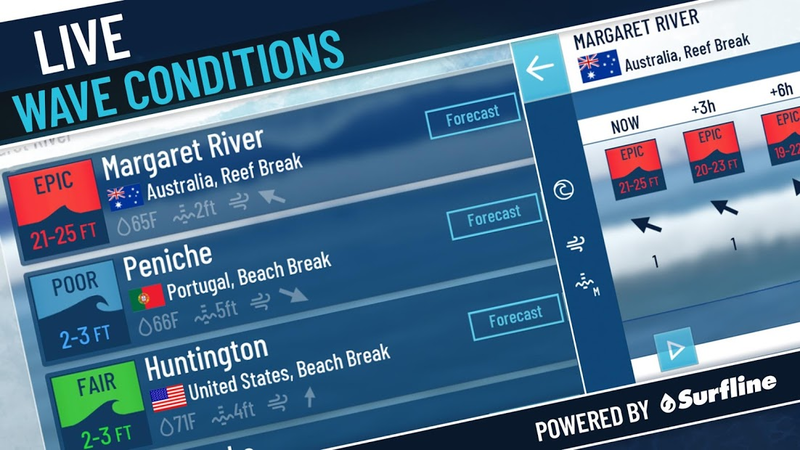 True Surf is powered by real time surf forecasting data from Surfline (experts in marine weather forecasting). Data is updated throughout the day and includes Swell Height, Swell Direction, Wind, Tide and Water Temperature. 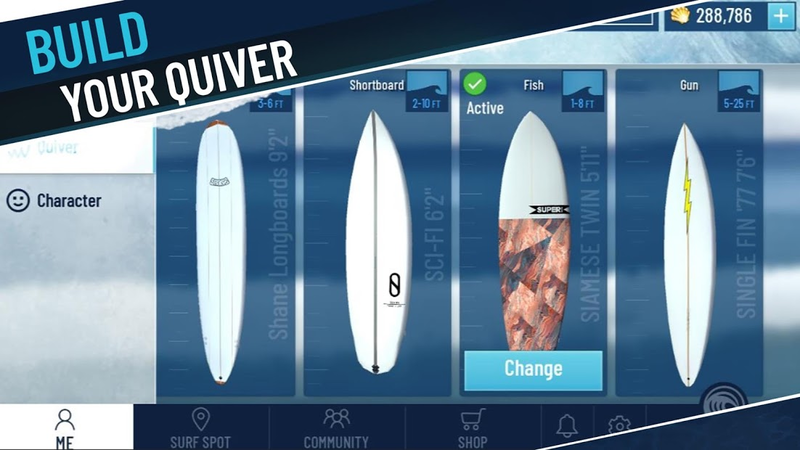 Power up by initiating 'Perfect Storms' at your favorite surf breaks. 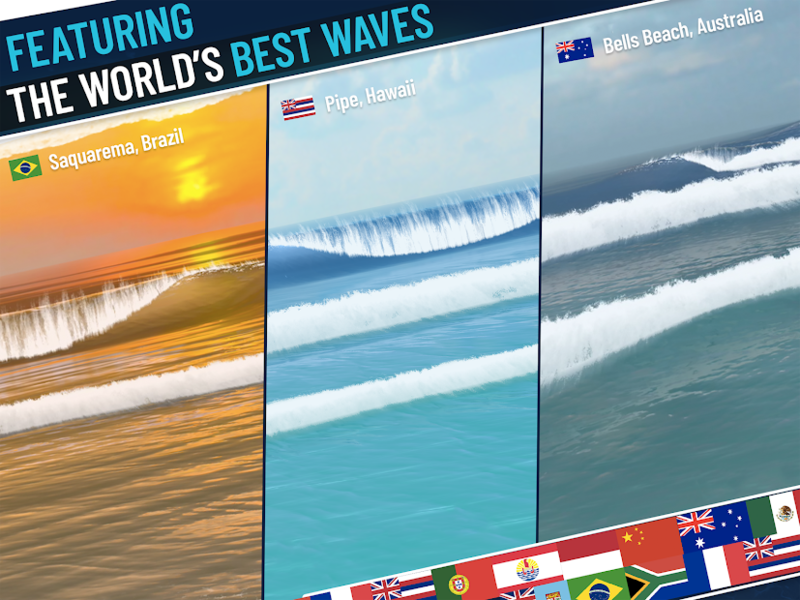 True Surf comes with six characters to choose from around the world. 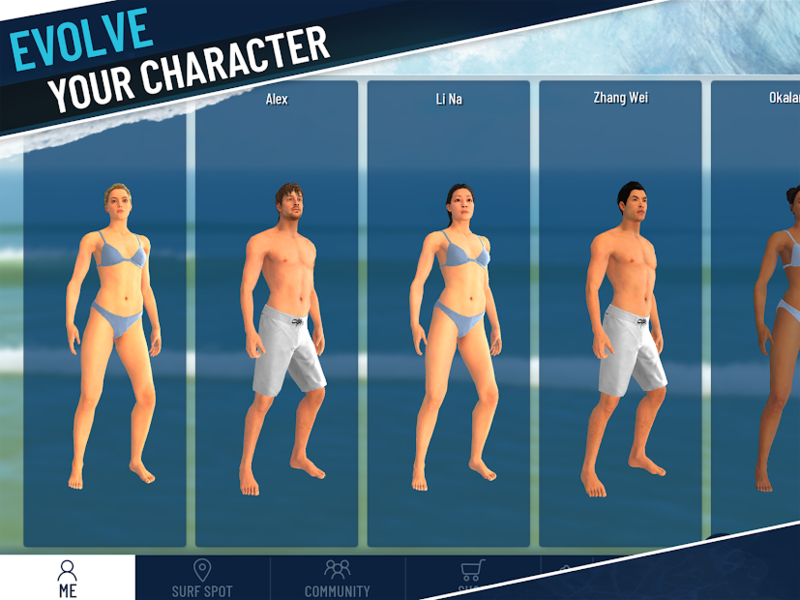 Start surfing performing tricks, spine-twisting maneuvers and massive wipeouts to build up your reputation and advance your career, unlocking travel, perfect storms, and gear to purchase. Look out for new apparel arrivals from many of the world's leading surf brands.